Over the past few weeks, Ghanaians have once again been subjected to the massively irritating phenomenon of load shedding known as ‘dumsor’. Somehow we went through an election to kick out a government which couldn’t solve dumsor and we still ended up with dumsor anyway. It is deeply frustrating but it seems that as citizens of Ghana, we are left with an incompetent government no matter which party we line up to go and vote for. 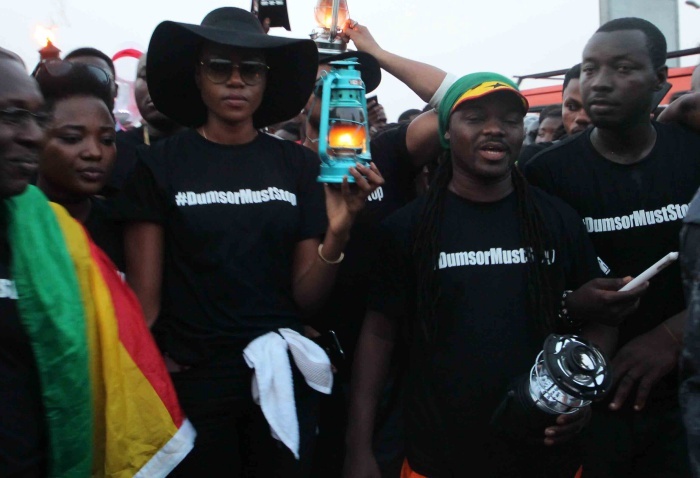 Yvonne Nelson, who led a massive demonstration under the previous NDC government over this same issue, has once again thrown a warning to the ruling NPP that they would have to face a similar demo if the current dumsor does not stop. Yvonne seems to be suffering from the ongoing dumsor as much as everyone else, leading her to take to Twitter to throw them a warning. “#DUMSORMUSTSTOP !!!! We are gonna hit the streets soon if it doesn’t stop!” she tweeted. Her call comes after a similar threat by DKB, who has also promised to lead a similar demo if the dumsor does not stop.